In its 2013 terrorism report, the State Department evaluated that “there were credible reports that Venezuela maintained a permissive environment that allowed for support of activities that benefited known terrorist groups” and that individuals linked to Hezbollah sympathizers and supporters, were present in Venezuela. The United States also has imposed various sanctions on Venezuelan individuals and companies for supporting Iran and Hezbollah. Since January 2012 Iran and Hezbollah were responsible for a worldwide campaign of terrorist foiled and failed attacks against Israeli targets, and probably Western targets, from Thailand and Georgia to Cyprus, from India to Kenya, Nigeria and South Africa, involving Iranian, Lebanese and local citizens. On July 18, Iran and Hezbollah finally staged a “successful” attack in Burgas, Bulgaria, killing five Israeli tourists and a Bulgarian citizen and wounding some 30 Israelis. On October 21, I published an article on Iran in Latin America since the election of the new President Hassan Rouhani in June 2013. 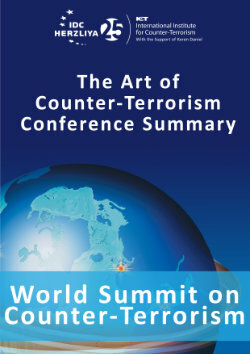 In my conclusion to the article I argued that Iran and Hezbollah continue to plan and stage terrorist attacks worldwide, albeit more cautiously because of the sensitivity of the ongoing nuclear negotiations, with preference in countries which have little experience about their modus operandi and which, they evaluate, will act leniently against their operatives and agents, due to diplomatic pressure and possibly threats of retaliation. I evaluated that historical experience and the 2012 operations by Iran and Hezbollah tells us that Latin America is not immune to the threat. Indeed, on October 28 the Peruvian Police has arrested the Lebanese citizen Muamad Amadar, a suspected member of Hezbollah, in the Surquillo district of Lima, Peru’s capital. 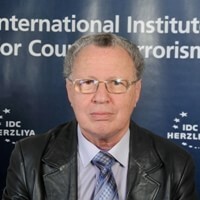 According to media reports, the arrest was made after information, probably provided by the Israeli Mossad, indicated that Amadar’s mission was targeting Israelis and Jews in Peru, including areas popular with Israeli backpackers, the Israeli Embassy in Lima and Jewish community institutions. From the latest information published by the Peruvian media Amadar arrived for the first time in Peru on November 3, 2013 and on November 15 he married a Peruvian woman, Carmen Carrion. Amadar knew Carmen through Internet chat from Beirut and married her in Yurimaguas. They probably met in another country before the marriage. She was divorced from a DEA U.S. agent and had American citizenship. The couple left the country after two weeks and on July 8, 2014 Amadar arrived at the Lima airport from Sao Paolo and waited for his wife who came from Florida by plane. He was arrested, immediately liberated and put under surveillance by the Police. The couple did nothing besides lunching and dining in different restaurants. They used to pass a lot of time at a local gymnasium, the “Geovanni Gym”. They did not work and received unknown quantity of money through Western Union. Carmen Carrion left Peru for the States two weeks before her husband’s arrest and he stayed in the apartment most of the time since. The Grupo Especial de Inteligencia (Gein) looked in his garbage near his home, discovered rests of explosives and then he was arrested by the Counter-Terrorist Directorate (Dircote) of the National Police. The police has found in the basement of his house TNT, residues of detonators and black powder and is checking his cell phones and banking account. A member from the Lebanese consulate visited the Dircote headquarters to inquire about Muamad Amadar after his arrest. The use by terrorist organizations of marriages with local women in order to achieve entrance permit and cover for their operatives is an old method of penetration in foreign countries. Peru itself is a good example. In 1970 a PFLP Palestinian terrorist married a young Indian woman in a village in Peru who never left her home. He took her to London and sent her alone on an El Al plane to Israel on the pretext his parents will receive her at the airport. On arrival an explosive was found in her luggage, which fortunately did not explode. Contrary to the Triborder Area between Paraguay, Brazil and Argentina or Isla Margarita in Venezuela, Peru was not known to be a country were Hezbollah or Iran have developed a terrorist infrastructure. There are however some historical examples of anti-Jewish terrorist attacks in Peru. In 1981-1982 there were several anti-Semitic attacks, mainly bombings against synagogues and other Jewish targets. On 16 July 1988, three members of the Abu Nidal Organization (Fatah-Revolutionary Command) in Lima, including two locally recruited Arabs, were charged with gathering information on synagogues and cars owned by Jewish community leaders and Israeli diplomats, with a view to carrying out terrorist attacks. On 24 July 1990, Yaakov Hazon, the secretary of the Jewish community in Lima, was seriously wounded when he was shot at by three men and a woman who fired at him from a passing car. The attackers were alleged by the authorities to have been members of the Shining Path (Sendero Luminoso) terrorist organization. Finally on 18 December 1990 a bomb exploded under the car of a member of the Jewish community parked near the Sephardi synagogue in Lima. The Shining Path (Sendero Luminoso) organization claimed responsibility. It will be interesting to follow the investigation of the Peruvian Police and learn if Hezbollah has succeeded to build a new infrastructure in the Andean country.